IDM is pleased to announce the launch of our new website. With new design features and a larger product catalogue customers will find our site extremely user friendly. 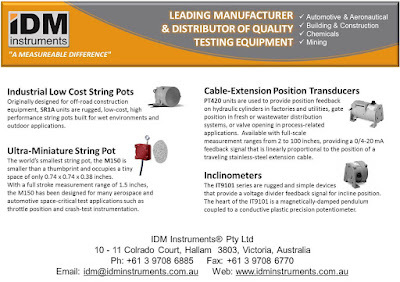 Visit us at www.idminstruments.com.au. There may be a few tweaks and adjustments to be made so please bear with us during the trial stages.